We do things big and in Bali that means delivering a complete barber experience to your villa or venue including an English speaking Master Barber familiar with Western Hair, Beards, and classic hot towel shaves and a support team. A proper barber chair, hygienic equipment, signage, and everything you need for an authentic men's grooming experience. This is a service meant for parties of six or more and we have multiple teams that can support large events as well. "This is the only party that I've left looking better than when I arrived"
We're the island's original western barber and happy to have provided countless classic barbershop experiences across Bali. We've served groomsmen parties, weddings, unions, five star classic executive functions, family reunions, parties, and nightclubs. Discounts available when performed in conjunction with The Shampoo Lounge Bridal Hair & Make Up Teams - This way everybody looks great at the altar! 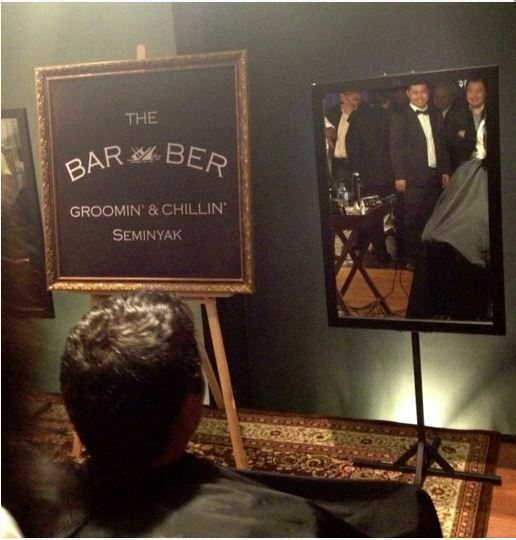 Event barbering is what put our pop up Barber service on the map! 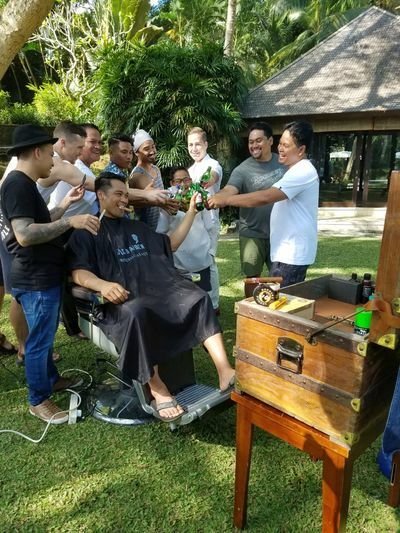 It all started with a phone call from Dunhill to set up an entire barbershop within one of Bali's most well-known restaurant nightclubs to provide authentic, classic hot towel shave's for their executive team… Roughly 300 were in attendance and it was an elegant evening attending to the gentlemen for this exclusive black tie event. 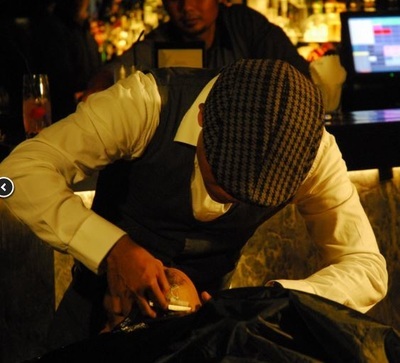 Since, we have set up shop at many nightclubs to support their classic nights, liquor launches, mortorcycle events, as well as attending to groomsmen preferring to use a venue rather than their private villas for their barbering needs and the ultimate bucks night party. 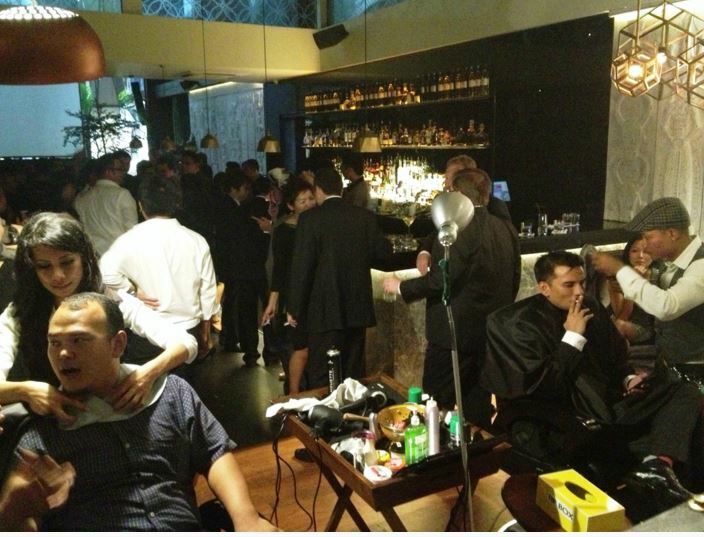 You might not know that we work with The Shampoo Lounge to support Bali's largest events and weddings. 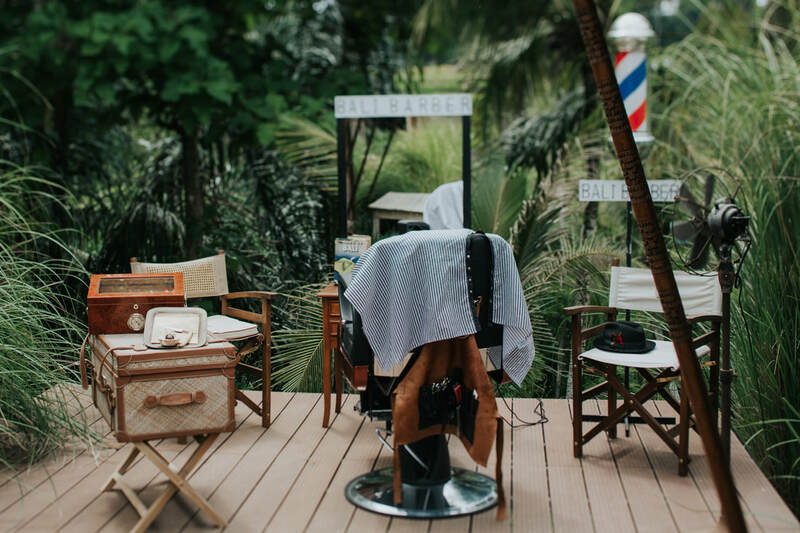 The Shampoo Lounge has the largest professional hair and make up team and we arrange a complete Barbershop for the Groomsmen & Guests delivering a properly attired english speaking master barber, barber chair, lamp, assistants and professional gear for a perfect experience. Classic cut throat shaves and proper haircuts are executed flawlessly and it's always a great time of camaraderie for the men. Photographers love it too! 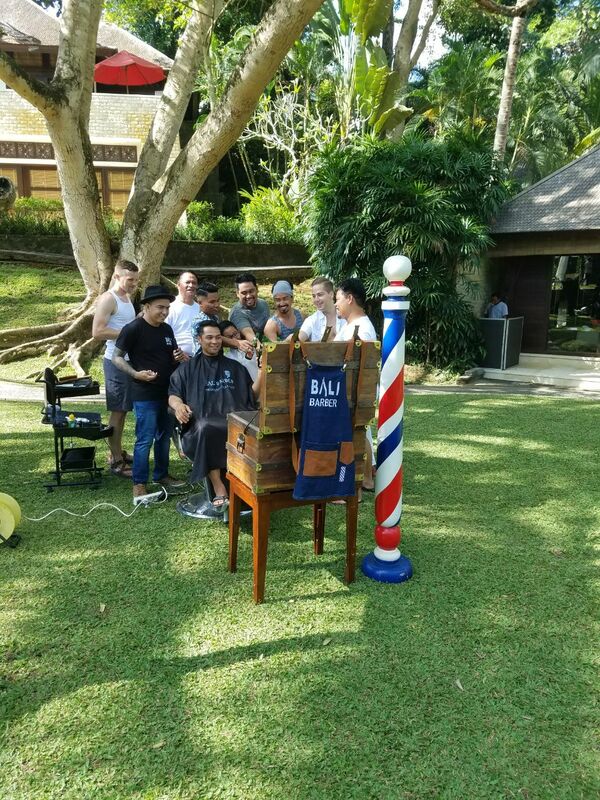 We've set up shop for hundreds of groomsmen, visiting officials, yes even a flashy sheikh entourage, trade show booths at conventions, farmer's markets, beach parties, family reunions, birthday parties, Scotch & Shave nights at Single Malt Bali - Whiskies & Cocktails, and very large executive events for Dunhill & such. It's always a memorable time and a way to add old school nostalgia to your event. 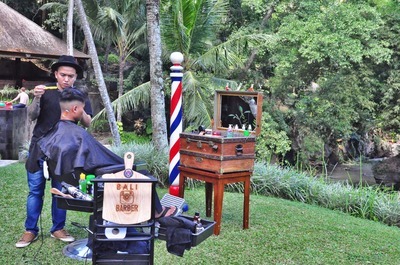 When inquiring about popup barber service, please let us know a bit of detail to respond effectively. Once we receive your booking inquiry, we'll send you an email with everything you need to know. ​We take what we do seriously and professionally. We'll arrive and be set up on time, the gentlemen need to be available at the booked time for proper service as typically we support multiple weddings and events in a day. 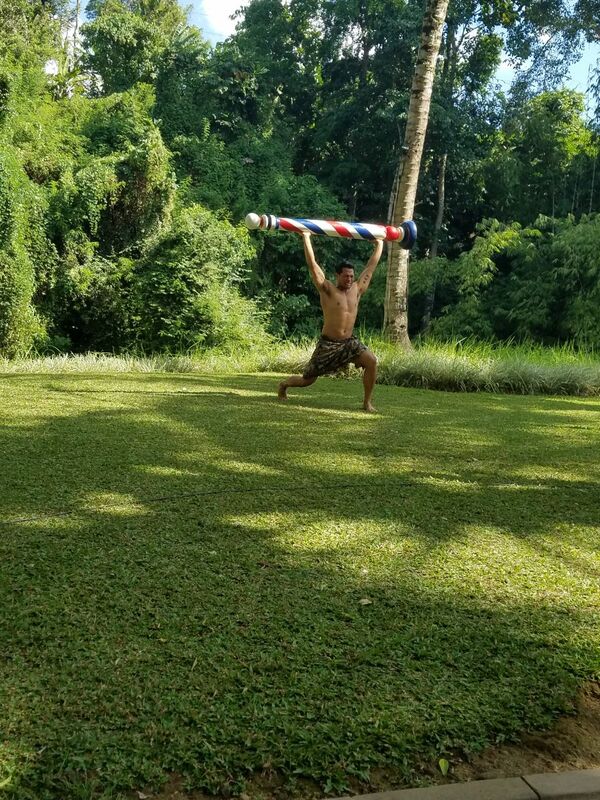 We know Bali very well so if you have other questions like catering, bucks party locations, transport, etc let us know and we'll do our best to recommend quality providers. ​Discounts available when performed in conjunction with The Shampoo Lounge Bridal Hair & Make Up Teams - This way everybody looks great at the altar! 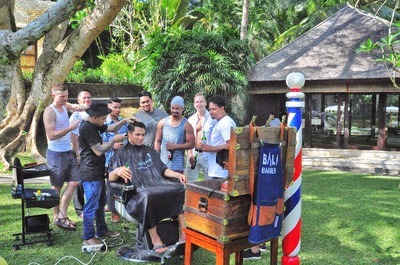 If you're having a Bali Wedding, make sure it at least includes a visit to our barbershops & spa for a perfect day of relaxing for the groom and bucks! Well, gone are the days of the bride and her gal-pals being the only ones to be pampered on the wedding day. 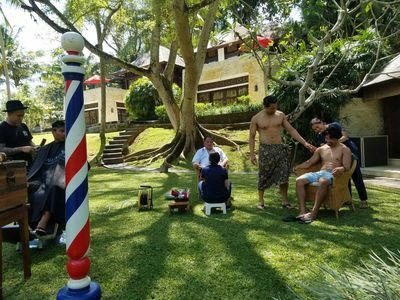 These days, the guys are jumping in on the action for a bit of man-esque pampering on the wedding day.... After all why should the girls have all the fun? 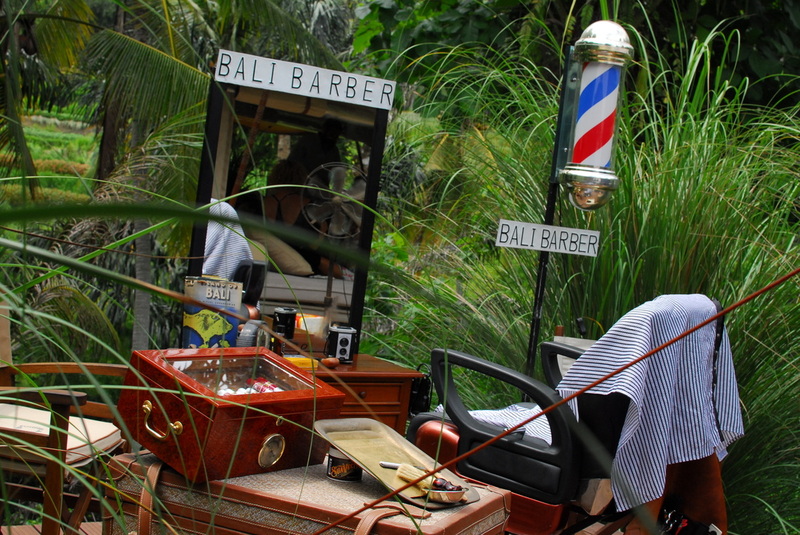 ​So with that in mind, Bali Barber's famous Luxury Pop-Up Men's Grooming Experience was born. This new found luxury experience was the brain child of Desmond Koval, Head Honcho (and self confessed vintage motorcycle and VW enthusiast) of Bali's own and original Bali Barber. Des says that the main vision behind the concept was to offer a convenient, mobile luxury experience for guys to enjoy on the morning of the wedding. 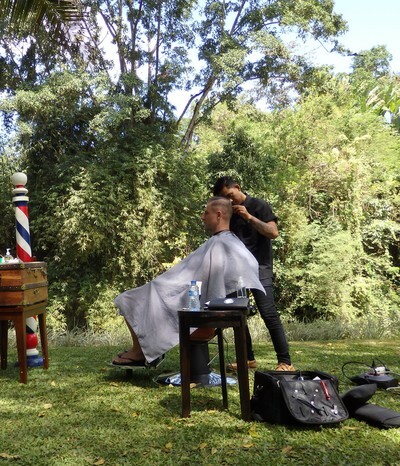 With brides being the ones who often spend an entire day being pampered, there was really a lack of high quality services just for the guys. 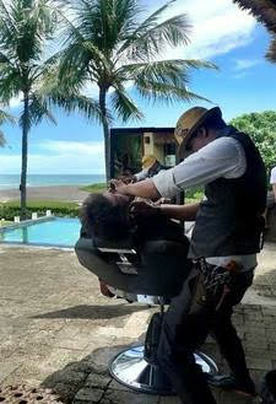 So who better to be able to fill that void than Bali's premier mens barber spa. We work in conjunction with The Shampoo Lounge so do let us know if you'll require Bridal Hair & Makeup as well. 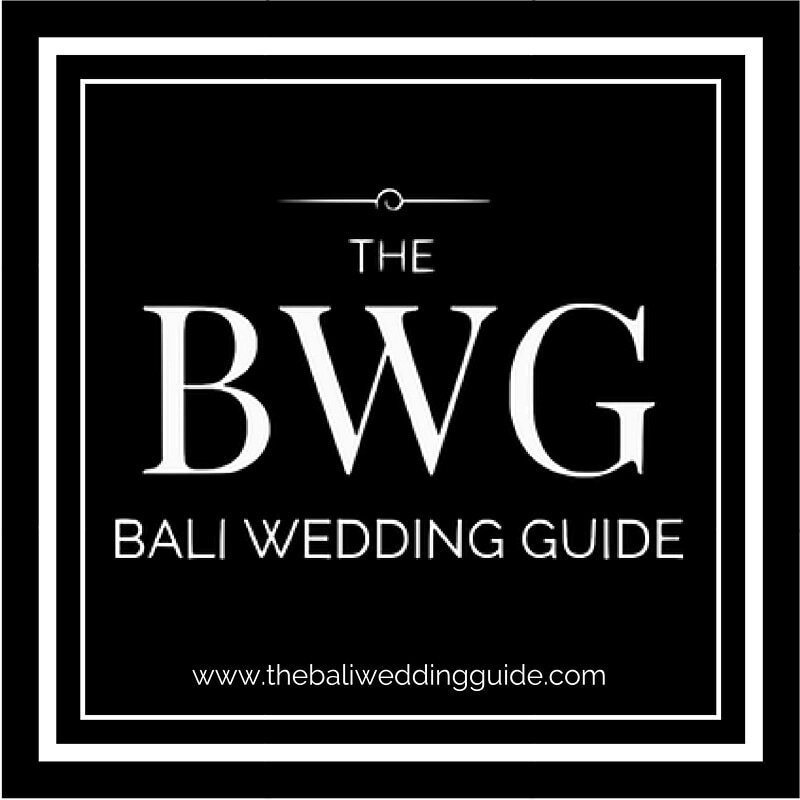 We have Bali's largest wedding team to support you professionally and efficiently. HOW CAN WE MAKE YOUR EVENT GREAT? 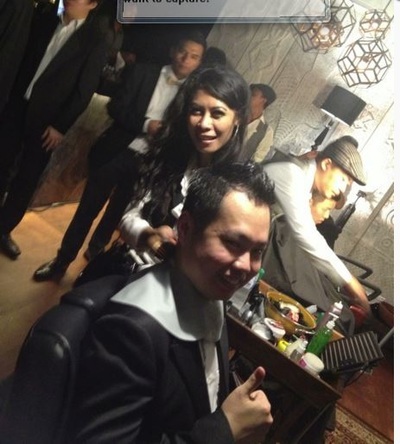 Reviewed 3 weeks ago via mobileThese guys did the hair of all the grooms men and the groom for our wedding. They are fantastic. The cuts are clean and precise and they look amazing. Don't mind my husbands face in the photos, he gets grumpy when cameras come out. I went into Bali barber yesterday to get a cut throat razor shave and a haircut to spruce up before a wedding that evening. 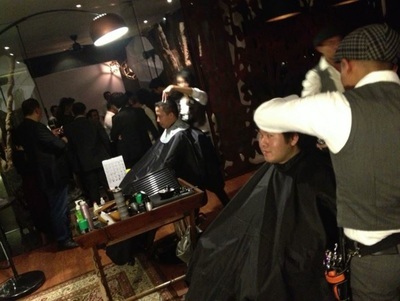 I was very satisfied with the professional service of the staff and particularly my barber Nixon. 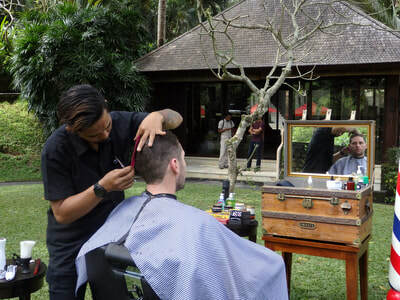 Very happy with my haircut and would definitely visit again next time I am in Seminyak ✂️. Thanks to Desmond and the guys at Bali barber and Spa. The boys had an awesome morning before the wedding. Not only did you guys do a fantastic job, it was a real bonding moment for the bridal party! The bride was very happy! Your staff were polite, friendly and very professional. They got the job done to make me look a million bucks for my wedding day. Reviewed August 8, 2015 via mobileThe service is fantastic. The atmosphere is relaxed and very cool. 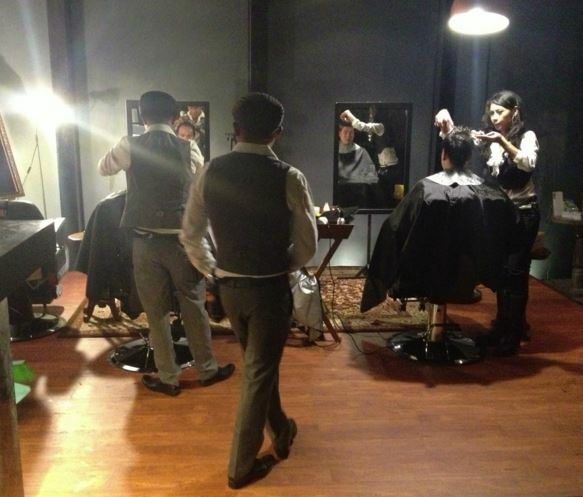 The staff are chatty, professional and fun. The owner came and chatted with us, had some great banter and laughs and wished us all well as we left. Fantastic experience. I'll be back for sure!